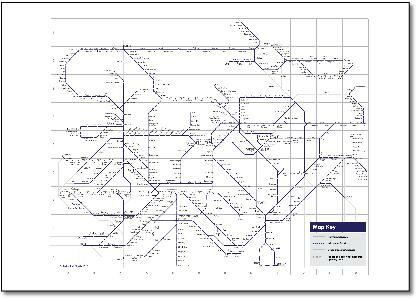 Individual route maps should be fairly simple to get right, just a straight line would do. 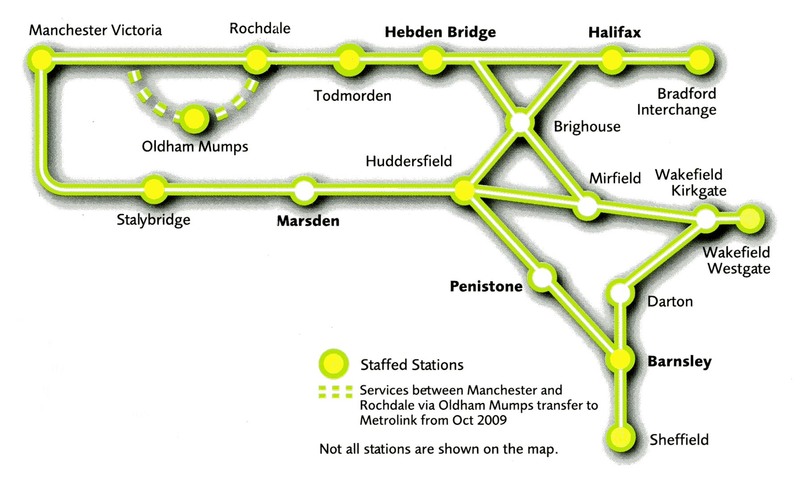 The aim should be to make the station names easy to read. 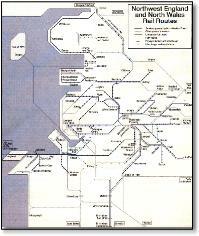 But here we have type flush left, flush right and at 45 degrees. 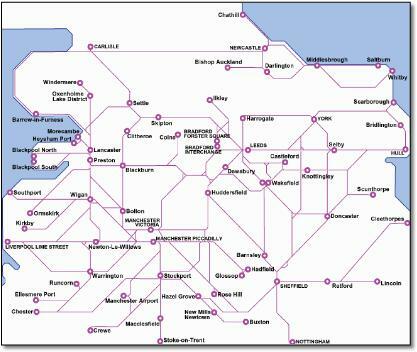 You would think if the line was better presented bowl-shaped as designed Grosmont would be at the bottom right corner of that shape. 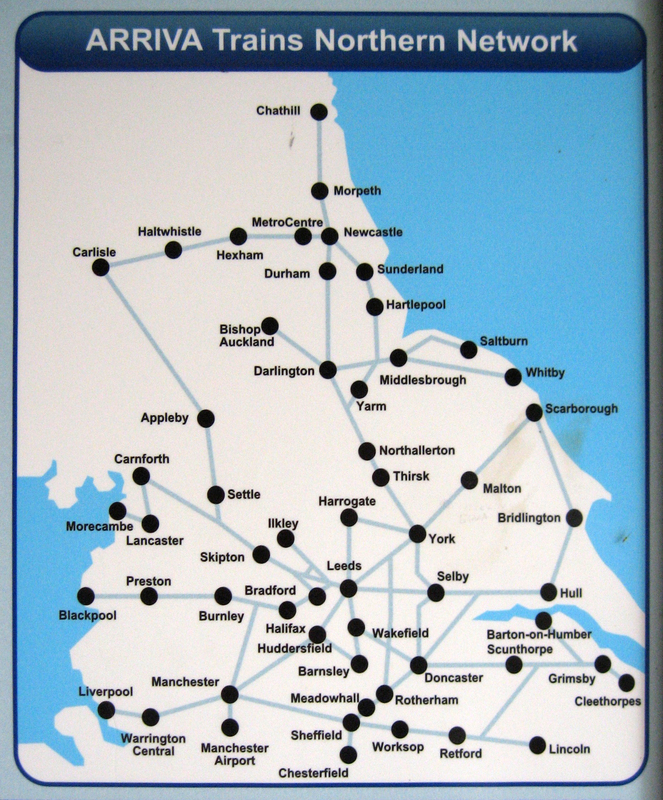 And the odd angular addition (look at Whitby!) 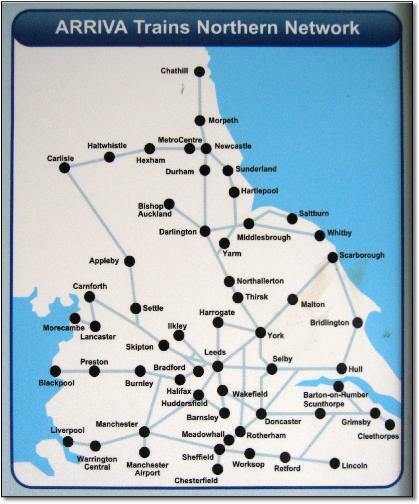 of the North Yorkshire Moors heritage railway as though it's a different line. 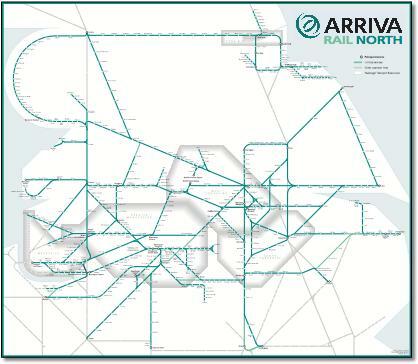 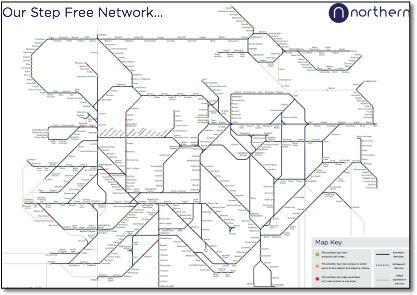 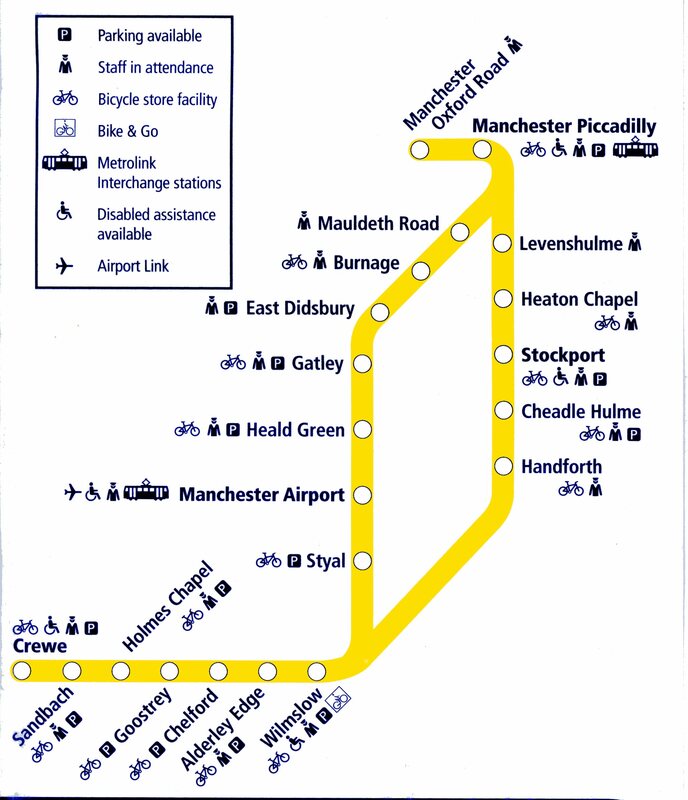 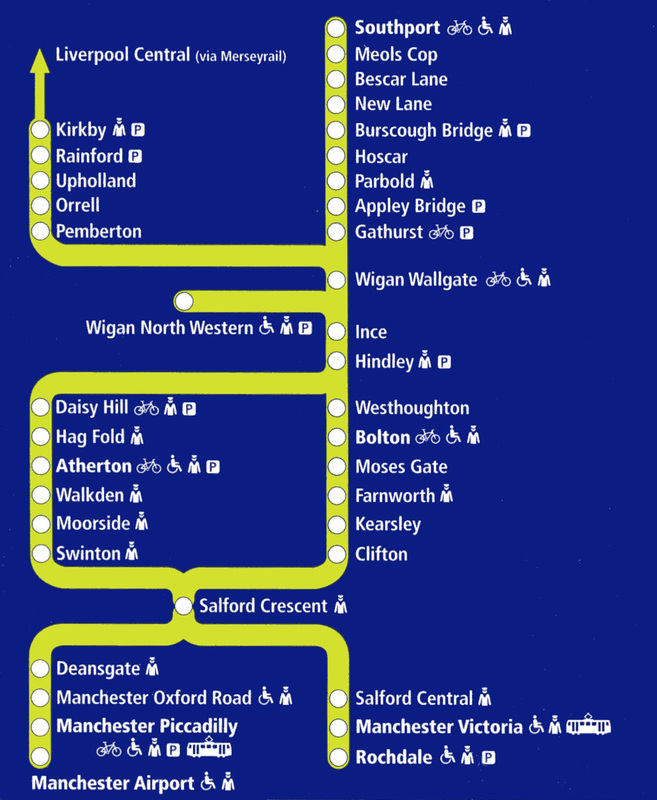 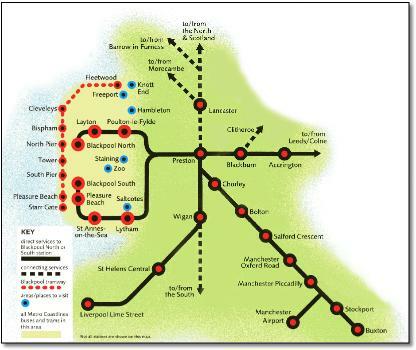 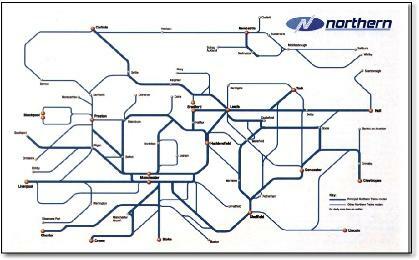 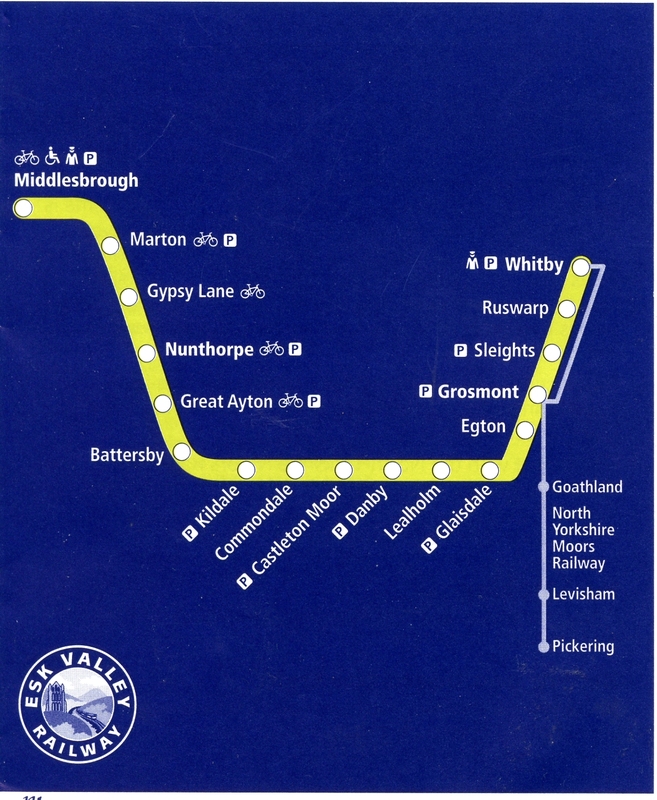 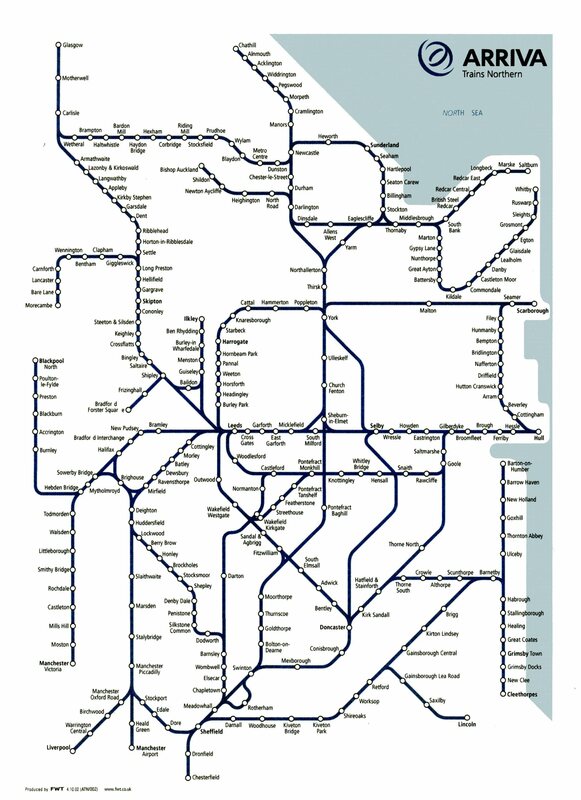 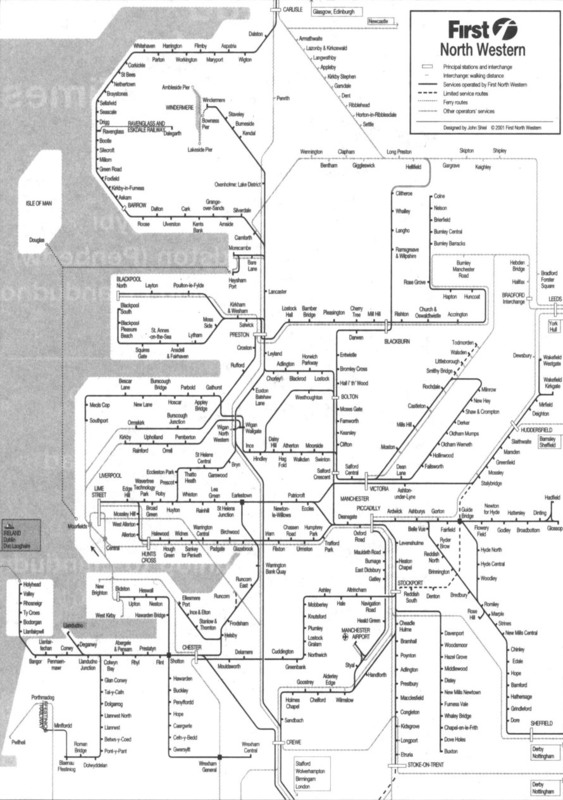 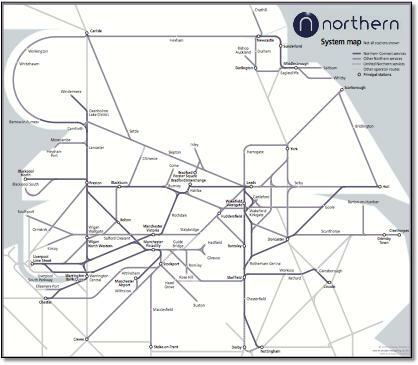 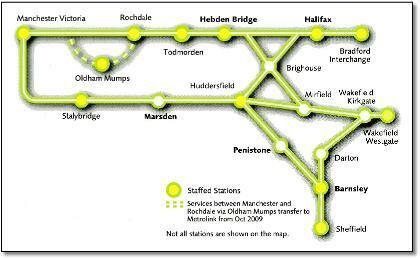 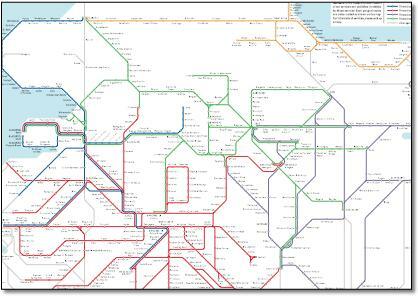 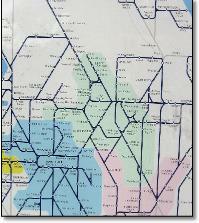 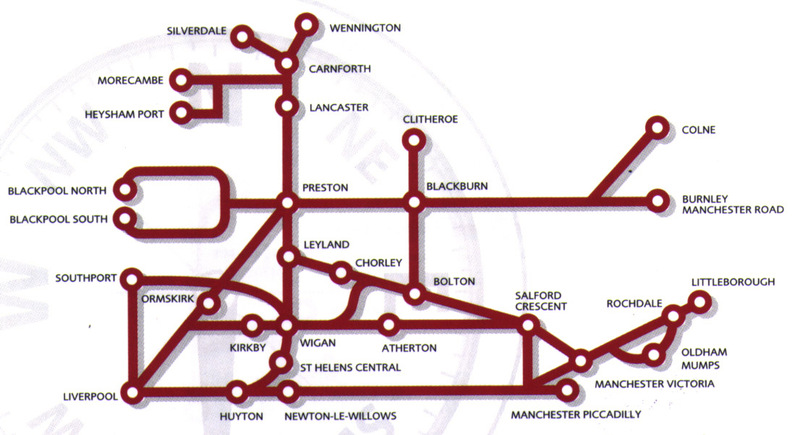 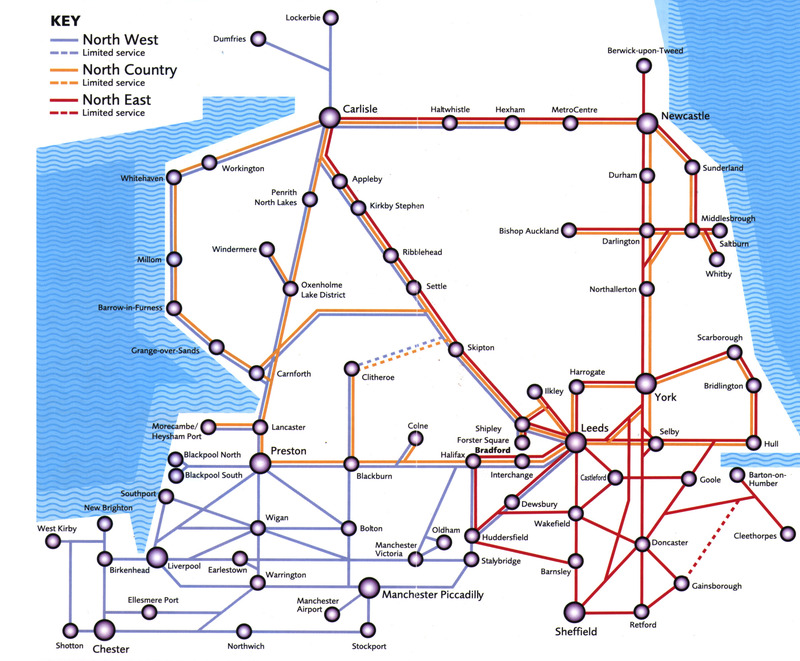 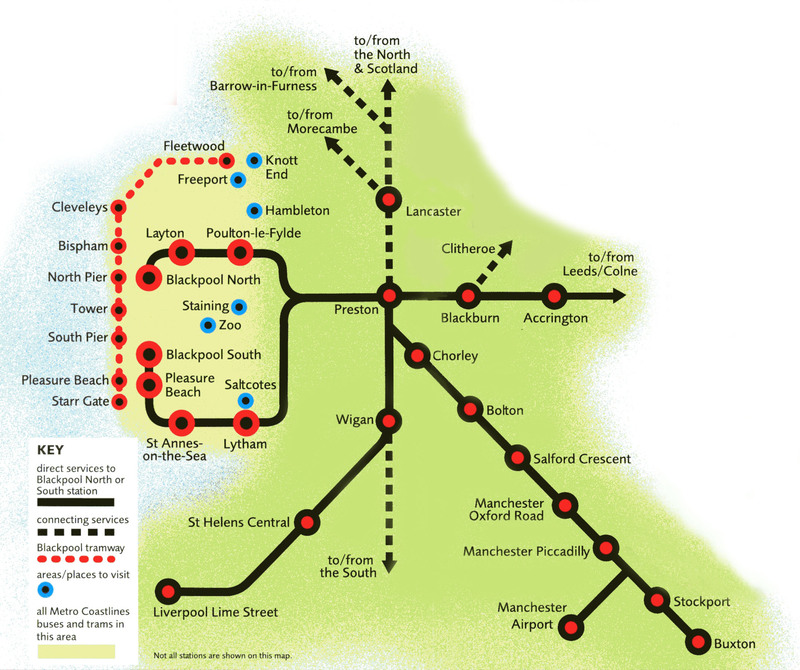 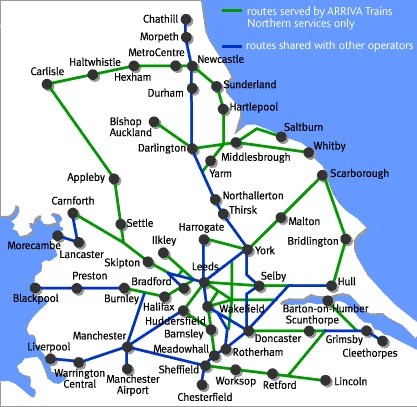 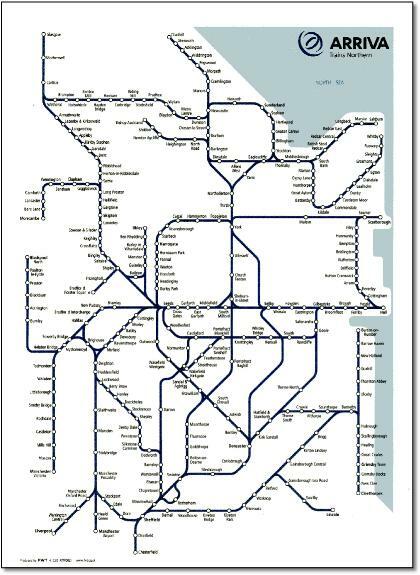 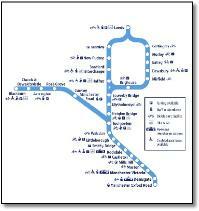 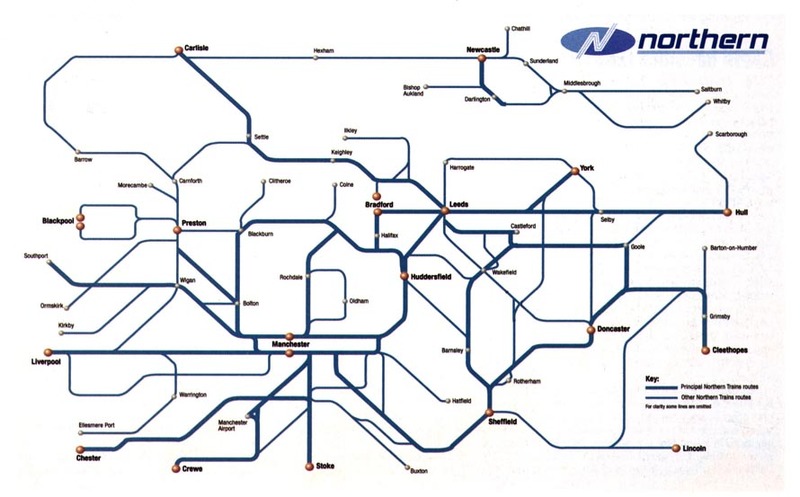 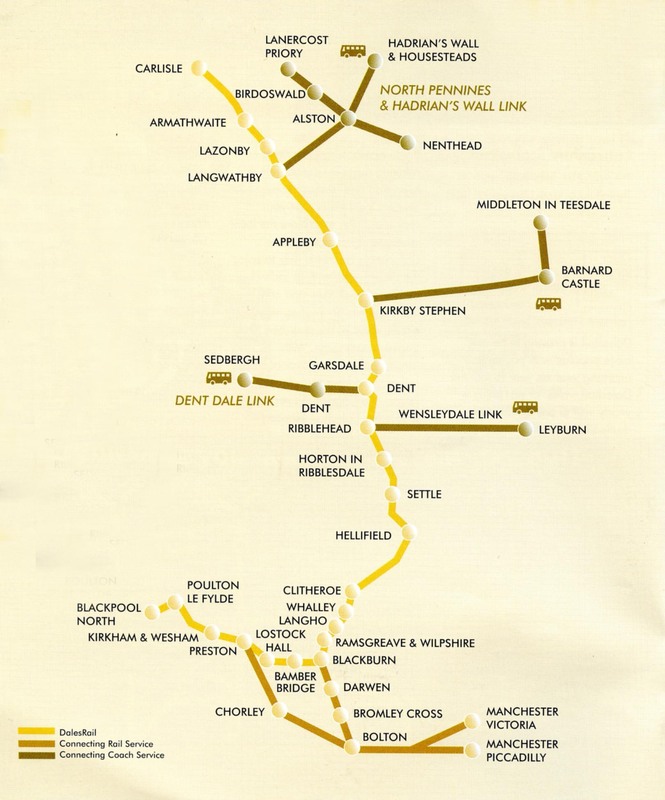 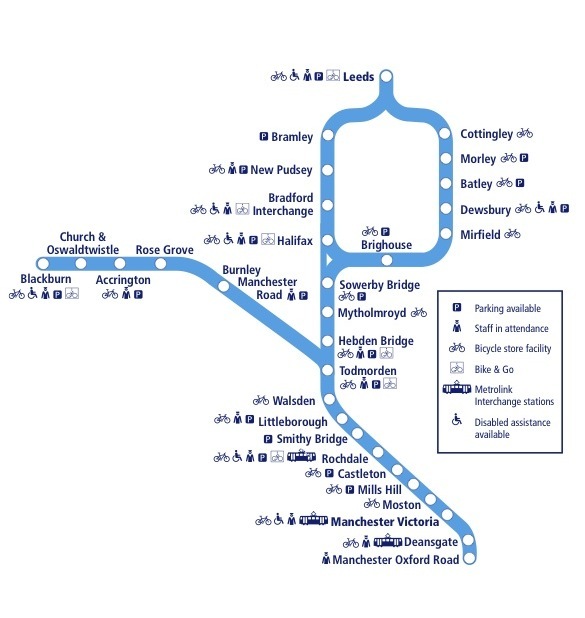 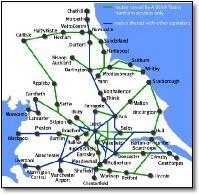 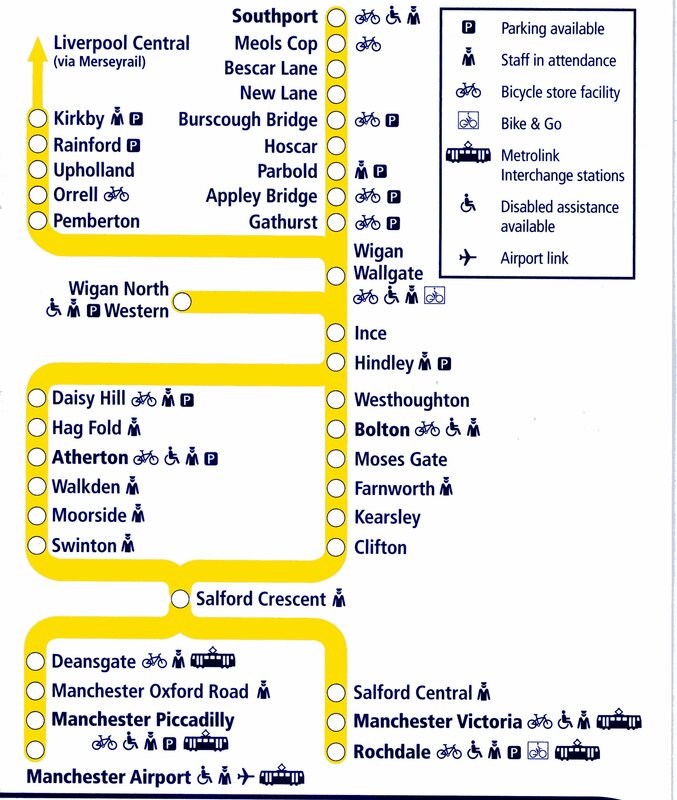 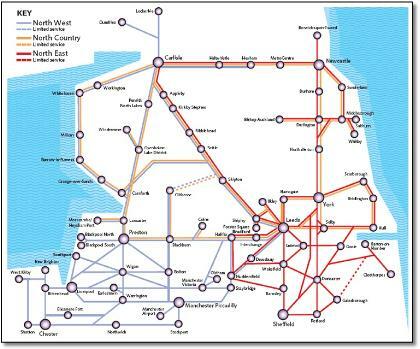 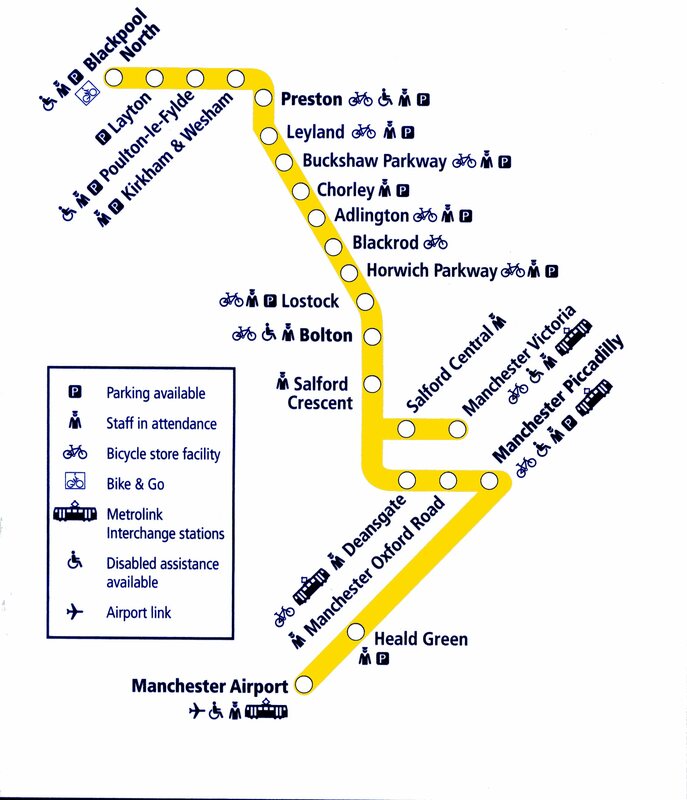 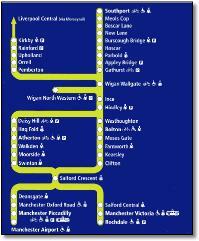 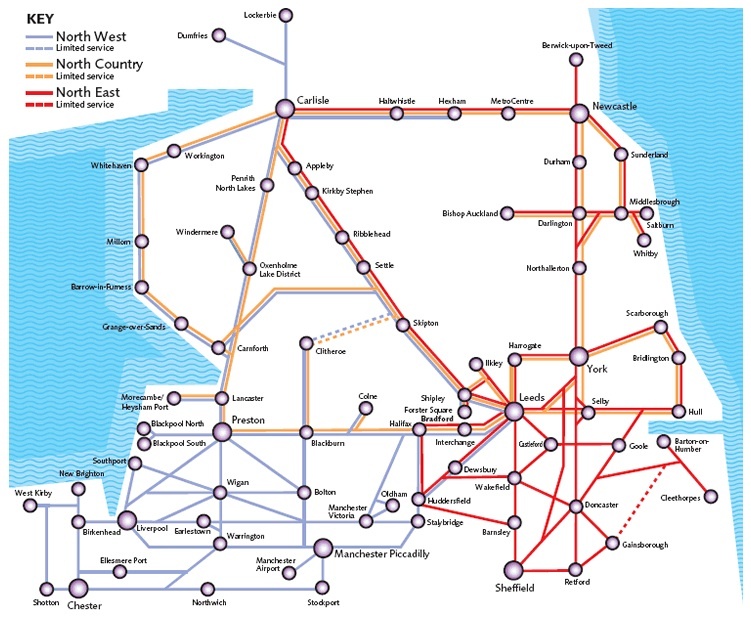 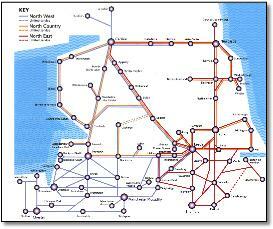 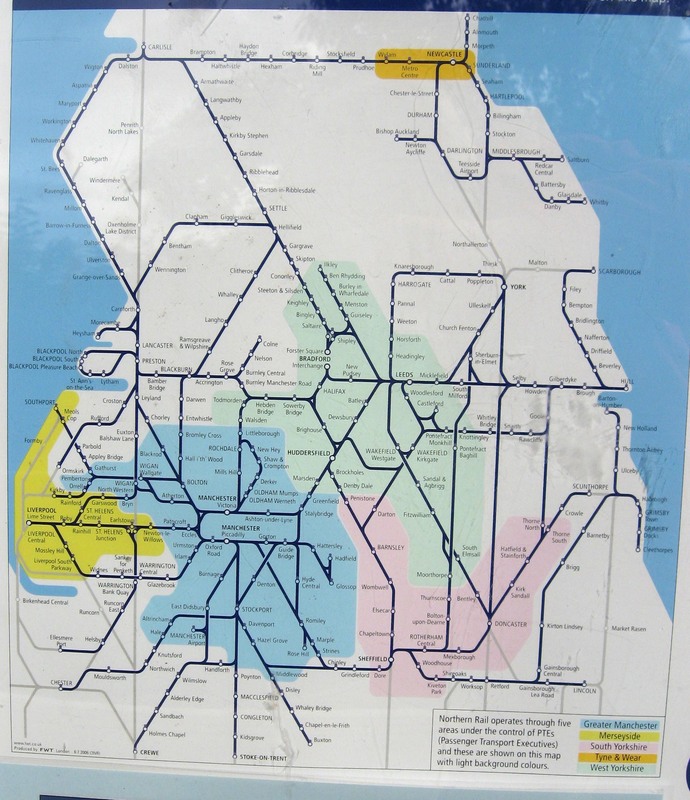 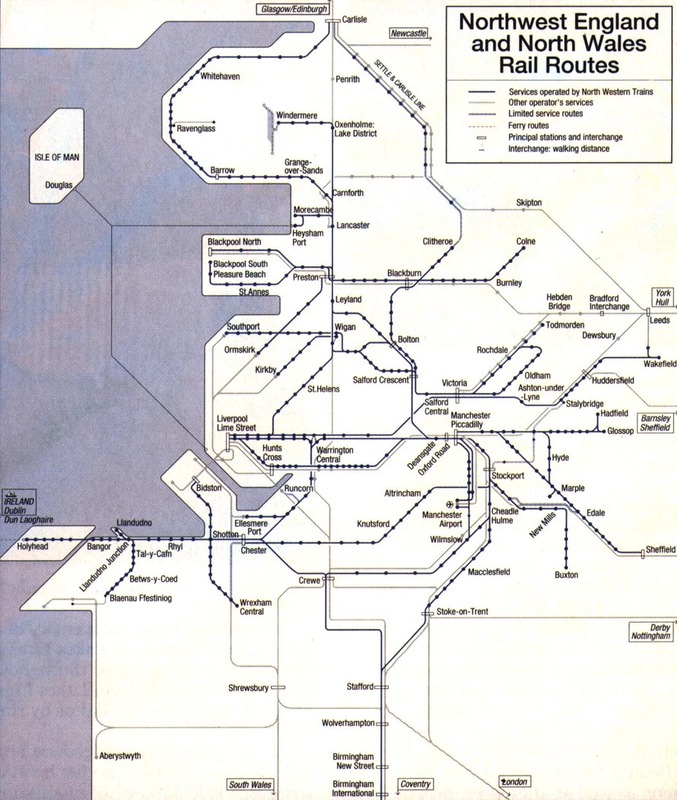 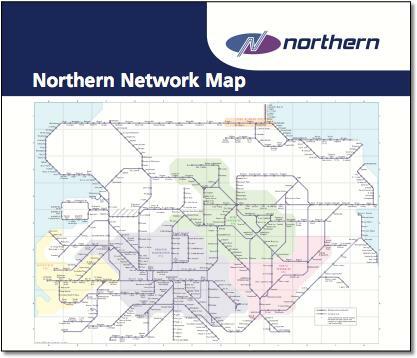 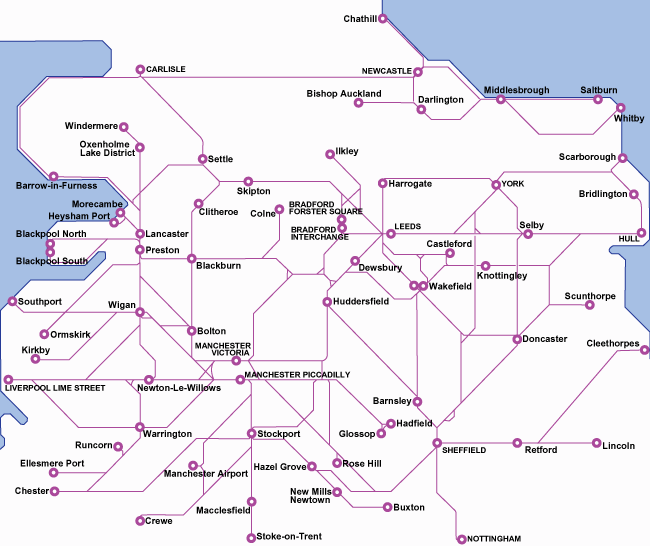 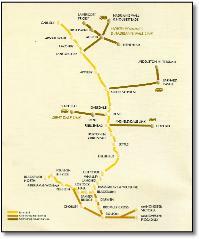 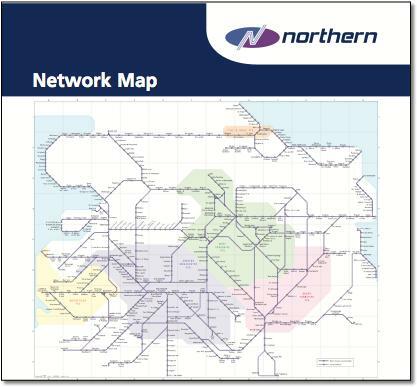 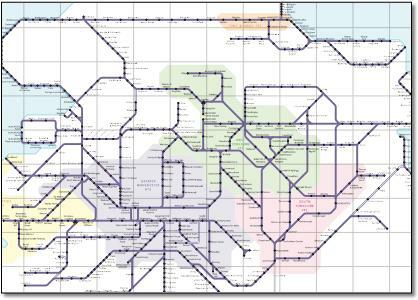 A geographic map of the DalesRail Blackpool - Carlisle route, but diagrammatic when showing the rail and bus links. 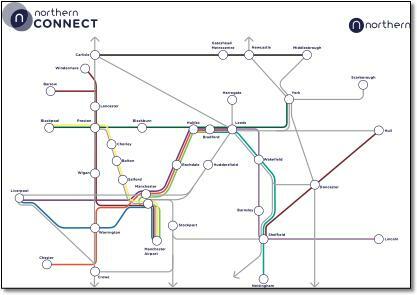 Odd use of colour, three shades are not very distinctive and the main route is the lightest.